The Republic of South Africa is located in the southern tip of Africa. Neighboring countries include Namibia, Botswana and Zimbabwe to the north, and Mozambique and Swaziland to the east, while Lesotho is a country surrounded by South Africa. South Africa's total area is 1,221,037 km2 (471,443 sq mi) and the estimated population in 2010 was 49,991,300. The two major historic groups in present day South Africa were the Xhosa and Zulu peoples. European contact was first made in 1487, and by the mid-17th century, the Dutch East India Company was established in what later became Cape Town. A large number of English colonists arrived in the 19th century. The discovery of diamonds and gold resulted in several wars between the British and the Boers, which the British eventually won. The Union of South Africa was created in 1909 by the British. Successive legislation passed by South African governments eventually established legally institutionalized segregation, later known as apartheid. The government established three racial classes: white, colored (people of Asian or mixed racial ancestry), and black, with rights and restrictions for each. Apartheid was enforced by the National Party from 1948 to 1993. In 2010 it was estimated that 79.4% of South Africans were Black, 9.2% were White, 8.8% were Colored, and 2.6% were Indian or Asian. Major ethnic groups include the Zulu, Xhosa, Basotho (South Sotho), Bapedi (North Sotho), Venda, Tswana, Tsonga, Swazi and Ndebele, all of which speak Bantu languages. Whites are divided into the Afrikaners, who speak Afrikaans, and English-speaking groups, many of whom are descended from British and Irish immigrants. According to the 2001 national census, Christians accounted for 79.7% of the population. This included Zion Christian (11.1%), Pentecostal (Charismatic) (8.2%), Roman Catholic (7.1%), Methodist (6.8%), Dutch Reformed (6.7%), and Anglican (3.8%). Members of other Christian churches accounted for another 36% of the population. Muslims accounted for 1.5% of the population, Hindus about 1.3%, and Jews about 0.2%. 15.1% had no religious affiliation, 2.3% were other and 1.4% were unspecified. Mennonite Central Committee (MCC) contacts within South Africa began in the mid-1960s. They grew out of interest sparked by the black passive resistance campaigns against apartheid. Difficulty in obtaining work permits stymied personnel placements in South Africa at that time, and instead MCC opened programs in neighboring countries. Some relationships with groups in South Africa continued from these neighboring programs. In 1976 a request for assistance and personnel came to MCC from the Transkei Council of Churches (TCC), a regional body of the South African Council of Churches based in the black "homeland" area of the Transkei. Between 1978 and 1987, four couples served as MCC workers under the TCC, two in administrative support and staff training and two as rural development workers. In addition, three workers were sent to the TCC by Africa Inter-Mennonite Mission to work in the Council's program of Bible training for leaders of independent churches. In 1986 MCC also placed a couple in the Ciskei, another of South Africa's black homelands. Mennonites were committed to supporting the church in South Africa as it struggled with issues of justice and violence. Important relationships continued with the Conscientious Objectors' movement, which grew after 1979; with the South African Council of Churches; and with other, smaller groups who sought to address the violence of that society. Mennonite workers struggled with what reconciliation meant in South Africa, where most of the people were oppressed by the government until Nelson Mandela came to power in 1994. The Grace Community Church was begun in Cape Town and Philipstown, South Africa, in the late 1980s, led by several pastors from Apostolic Faith Mission background. Most of the Grace congregations are in the Karoo in central South Africa. Grace became a member of Mennonite World Conference in the late 1990s. One of the unique ministries of the Grace Church has been its work with farm laborers. The first Brethren in Christ (BIC) congregation was established in South Africa in 1988 in the township of Soshanguve near the city of Pretoria. A second Brethren in Christ congregation was established by Zimbabwean BIC in the Johannesburg suburb of Highbrow. By 2009, 7 congregations had been formed. The church is committed to a message of compassion, peace and reconciliation in the midst of violence in the townships. In 2003, the Communauté des Eglises de Frères Mennonites au Congo (CEFMC) sent missionaries Baudouin and Marie-Brigette Nsulunka to Durban, South Africa to minister to French-speaking refugees. The Durban Mennonite Brethren Church was formed that grew considerably in the early years of its existence. Due to safety concerns, approximately 100 members from the congregation moved away from Durban so that in 2010 membership stood at 70, with most being Congolese. "Background Material on Mennonite, Brethren in Christ and Related Churches in Africa and the Countries where they are Found." 2001? Web. 20 April 2011. http://www.mwc-cmm.org/MWC/Material/WFSbackground.pdf. Mennonite World Conference. "2000 Africa Mennonite & Brethren in Christ Churches." Web. 20 April 2011. http://www.mwc-cmm.org/Directory/2000africa.html. [Broken Link]. Mennonite World Conference. "2003 Africa Mennonite & Brethren in Christ Churches." Web. 20 April 2011. http://www.mwc-cmm.org/Directory/2003africa.html. [Broken Link]. Mennonite World Conference. "Mennonite and Brethren in Christ Churches Worldwide, 2006: Africa." Web. 20 April 2011. http://www.mwc-cmm.org/Directory/2006africa.pdf. [Broken Link]. Mennonite World Conference. "Mennonite and Brethren in Christ Churches Worldwide, 2009: Africa." Web. 20 April 2011. http://www.mwc-cmm.org/en15/files/Members%202009/Africa%20Summary.doc. [Broken Link]. Nsulunka, Baudouin. "Mennonite Brother Church, Durban." Personal e-mail (21 April 2011). Wiens, Vic. "Mennonite Brother Church in Durban, SA." Personal e-mail (20 April 2011). Wikipedia. "South Africa." Web. 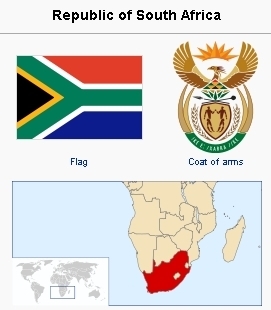 19 April 2011. http://en.wikipedia.org/wiki/South_Africa. Herr, Judy Zimmerman and Richard D. Thiessen. "South Africa, Republic of." Global Anabaptist Mennonite Encyclopedia Online. May 2014. Web. 21 Apr 2019. http://gameo.org/index.php?title=South_Africa,_Republic_of&oldid=137193. Herr, Judy Zimmerman and Richard D. Thiessen. (May 2014). South Africa, Republic of. Global Anabaptist Mennonite Encyclopedia Online. Retrieved 21 April 2019, from http://gameo.org/index.php?title=South_Africa,_Republic_of&oldid=137193. Adapted by permission of Herald Press, Harrisonburg, Virginia, from Mennonite Encyclopedia, Vol. 5, p. 765. All rights reserved. This page was last modified on 6 October 2016, at 06:22.